Note: This is the first installment of the Email Marketing 101 series. When I started learning about online marketing in late 2006, I heard about email marketing and how important it was to build a list. I heard about the “gurus” making thousands when they sent off an email to their list. 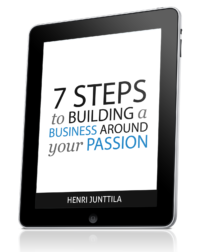 It seemed great, but I could never figure out how I could apply the same principles without putting people off. When I finally started this blog, I also started one of my first email lists, and my first emails were horrible. I made dozens and dozens of mistakes. But it was through trial and error that I learned, and in this email marketing series, I’ll share some of what I’ve learned, so you can skip the learning curve. Building a list is one of the most important things you can do when you’re building a lifestyle business. I can’t stress that enough, so I’ll say it again. Building a list is one of the most important things you can do. Most information out there on email marketing is overwhelming, because people aren’t good at presenting information, but this isn’t rocket science. I’ll focus on the 20% that give you 80% of the results, but before I get ahead of myself, let’s look at what email marketing is and how it can help you build a lifestyle business. Email marketing is simply the practice of building an email list, staying in touch with your readers, sending them great stuff, and making fantastic offers that solve their problems. You never spam people, because they can sign up or unsubscribe whenever they want. What does email marketing have to do with building a lifestyle business and increasing the freedom in your life? I resisted building a list for a long time, because I didn’t know what to do. Don’t fall into that trap, because it’ll end up costing you in the long-run. The first benefit is control. If you just use something like Feedburner to handle your blog subscriptions, your subscribers will get your blog posts but not much more. With a list, you can send out a message whenever you want, and you have complete control over your list. It belongs to you. Not even Google can take it away. If you have a launch coming up, or if you want to make a quick offer, you can have an email in the inbox of your readers within minutes. Obviously, you should plan stuff, but if you want to send out a spur of the moment email or give people a Christmas gift, it comes in handy. One of my favorite benefits of email marketing is the autoresponder, which is a tool that allows you to automate what emails your readers receive. For example, when you join my email list and confirm your subscription, you instantly receive my free report, and after about a week, you receive a free teleseminar, and then more goodies if you stay on my list. All this happens automatically. I can add a new message to the sequence and my subscribers keep getting good stuff from me. When you have a list, and you use a great service provider like Aweber (I’ll talk about how to find the best email marketing service in the next installment of this series), you can see who opens your emails, how often they click on links, and so on. It gives you invaluable data on what kind of content your readers like, what kind of links they click, and what kind of headlines resonate with them. If you compare email marketing to traditional direct mail advertising, it’s amazingly cheap, but still many bloggers hold out, because they don’t want to invest. And it’s one of the biggest mistakes they make. A good email marketing service is usually around $19/month, and you get everything from support and autoresponders to in-depth analytics and easy-to-install WordPress plugins. When people join your list, and you take care of them, it builds trust and you can build a long-term relationship with your readers. Many of my readers have been on my list for over two years. Email is just a more intimate form of communication than someone reading your blog via an RSS feed. If someone has a question, they can hit reply on my emails and I’ll get back to them within 24 hours. If you don’t know what your readers want, you can’t help them, and you won’t have a business. You can’t create products and services in a vacuum, you have to listen, and email marketing gives you the perfect platform to do just that. I often ask questions, send out surveys, and do other things to learn what’s going on with my subscribers, because I’m curious as to how I can make things better. I’m sure there are many more benefits, and if I’ve left any out, feel free to let me know in the comments. So, How Does It Support a Lifestyle Business? Email marketing gives you the opportunity to treat your readers like VIP’s. It helps you stay in touch with them and forge deeper, more meaningful connections. And you can automate the process with an autoresponder. I don’t automate everything with my list, but I try to do it as much as possible, because it saves up time for me to develop more great content, products and services. Building a lifestyle business is all about making a living while increasing the freedom in your life, and building a list is one vital component in that process. When is the Best Time to Start a List? You should have a list ready when you launch your blog. If you’ve already launched, you should start planning what you can offer people as a bonus when they sign-up. All of this may seem overwhelming, but don’t worry. I’ll go over the finer details in this series, and I’ll give you action steps you can take to eliminate overwhelm. Information is useless unless you apply it, and my job is to help you take action, not just mindlessly consume more information. Let’s wrap this post up, so you can remember what you’ve just read. I started by telling you about my story with email marketing, and how I resisted it in the beginning. When I finally got into it, I made more mistakes than I’d care to admit, but I’m happy I finally took the leap. It was a tough ride, but my list is what brings in the majority of my income. Then we looked at the benefits of building your own list and how it helps you stay in touch with your readers, build long-term relationships, and figure out what people want, just to name a few things. And as we began wrapping up, I told you about how using the right email service provider helps you automate the process, which is crucial when building a lifestyle business. Last, but not least, you shouldn’t put off starting a list. Start one now. The only reason you’d put it off is because you’re not serious about building an online business, and if you want to keep it as a hobby, that’s cool with me. There’s a lot more to come in this series, so remember to subscribe and claim your goodies. If you’re curious about what’s coming, you can see the list here. 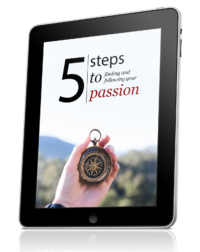 Each article in this series will contain a series of action steps to give you clear guidance on what to do, when to do it, and how, so you can implement what you learn and see real results. Today, there’s not much for you to do, but I’d still like you to think about how you can use email marketing in what you do. If you don’t have a blog or website yet, you should start one right away and learn as you go. This is a very timely article for me. My new blog launches soon. I hope to have everything ready to start an email list right away. When I sign up with Aweber, how much time should I set aside to get everything going? To get started, all you’d need to do is get your list set-up (very easy, they have tutorials) and then your first welcome message. I’d say one hour or less, because Aweber guides you through the process very nicely. After that you can figure out the rest, such as having a sign-up offer and a follow-up sequence, which I’ll cover in this series (and future posts). Just wanted to let you know I will be following this email marketing training religiously and looking forward for the next update. I recently started building my list and I honestly don’t know why it took me a whole year to decide to start doing email marketing. I’m still learning but it definitely makes more sense to have your subscribers at hand than just signed up onto blog updates. Sometimes the best things in life take time to get to. Let me know if you have any questions during the series! Thanks for this article. My challenge is that I signed up with Aweber, and, although my blog and thus emails are completely non-commercial, they insist that I post my home address. I certainly don’t need more junk mail and given some of the anger I’ve seen in blog comments out there, don’t know if I want easy access to my home address. Thoughts? I’m pretty sure the address would only show up in the emails you send to your list, and it’s a part of the game. I’m pretty sure most respectable service providers do the same. If you really don’t want it to show your home address, you can get a P.O box. WOW! this just give me an idea on how should I build up a good relationship with my followers.. thanks a lot..
your blog never fails my expectation.. I hope that you will inspire more & more people. keep it up! !